‘Ello Elio – A motorcycle with a roof! OK – from what I understand, Elio Motors is trying to convince car owners to buy a motorcycle, by telling them that is both cheap ($6,800) and efficient (84 MPG). These numbers are great compared to your average SUV, but compared to a Honda touring bike, say the CTX 7000, the numbers are almost the same at $7,500 and 64 MPG. I also thought that three wheels=motorcycle=helmet. Wonder why they don’t show people wearing them in their photos. 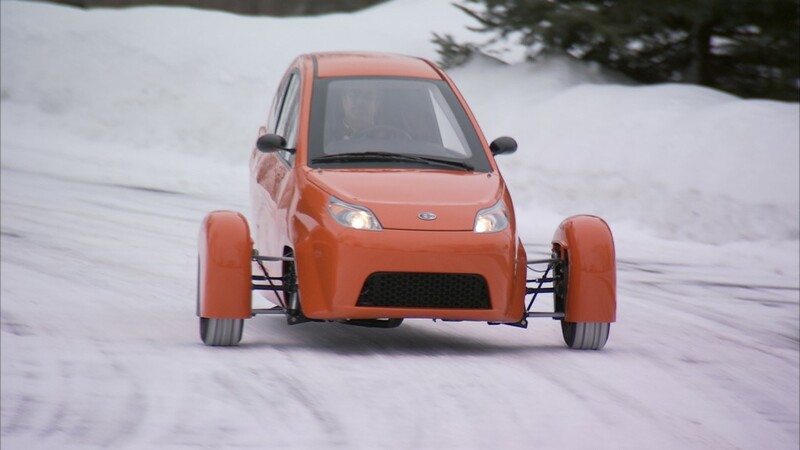 The sales pitch: use less, buy an Elio – oh yeah, and it’s American. How about use even less and ride a bike? Is that the American way, ignore the technology out there and get some venture capital together and make a road show. This entry was posted in Not quite a car, Such a bargain!, What could possibly go wrong? on February 6, 2015 by Gary.